Speed of decision making slows down and in many businesses decision making actually grinds to a halt when confronted with the need to reshape the business. It is a strange organizational phenomenon. Paradoxically, the demands for change and improvement urgently require solutions to promote organizational effectiveness. But what typically happens? The capacity of the organization to arrive at and implement decisions freezes completely. We have found that organizational changes put many people into a 'hold' pattern of activity struggling for several months. This freezing or slowing down in the 'change process' exists because of a high degree of perceived uncertainty in how the organization manages ambiguity in its environment. Fundamentally, this is a reflection on the business in terms of its ability to delight the customer and is particularly a problem when managing the expectations of customers. If companies fail to prove to their customers that they are responsive to change, the customer will go elsewhere. Customers are fickle and desire perfection. Organizations in both the private and public sector, need to respond rapidly to meet customers' changing expectations if they hope to survive. Companies that fail to commit to delighting their customer and using any complaint as a business opportunity to enhance customer loyalty will soon lose their customers. Organizations that have failed to master 'customer relationships' (internal and external) usually have major difficulty mastering human relations inside the business. Businesses that have not yet captured fully the skills and abilities of their most able employees are failing to master their potential. A tremendous opportunity is wasted. We believe the dual challenge to any organization is the ability to nurture and develop its people, to drive, align and meet and eventually exceed customer expectations. This is sadly lacking in the average enterprise. If an organization is not investing and striving to get better at using its people to delight the customer then it is probably standing still. If you're standing still, chances are that you're slipping backwards and the competition will have overtaken you. This book has been written to push the average organization forward. The focus of the book is to outline a powerful change model, not just to give a business an advantage but to develop the capability of a strategic trajectory and powerful propulsion system for continuous improvement - totally focused upon aligning with the customer. It is a fact of life that business is becoming far more complex and those organizations that are going to survive will have to learn to master and drive change rather than be a victim of it. Change in business in the past 30 years has been slow in comparison to that which will have to be mastered in the future. In the new Century, more organizations will have to give special attention to rapidly implementing changes. Change itself is accelerating at an accelerating rate. We recognize that probably 90% of organizations are failing to maintain their ability to adapt and change at the rate at which they should. Their future is not rosy. Consider the top 100 of the Fortune 500 companies in the US in 1988. Today less than 50% register in that same list. Some no longer exist. This is not a temporary trend. For organizations to prosper and change it is imperative that they learn to master rather than merely adapt to their environment. This book addresses the need to fully understand the dynamics of customer focused change in order to develop and practise change itself. It also deals with a variety of diagnostic and change tools, which will help internal change agents analyze the situations and respond swiftly and accordingly. A combination of these cultural tools and methodologies can be used to 'triangulate' the causes of such problems and then quickly act to implement any necessary improvement. We focus on the difficult side of the change process - namely the dynamics inherent within the business culture. Fundamentally, we have four Sections each with specific Chapters focused upon those areas for installing Customer Focused Continuous Improvement. Section One: On the Drive for Change, we focus Chapter 1 upon the need to change quickly and effectively and in Chapter 2 we highlight the importance of being obsessed with building a Customer Focused organization. We highlight the approach and those areas critical to internal and external customers. Section Two; Developing Internal Capability comprises Chapter 3, creating a cohesive internal Change Team, and Chapter 4 concentrating upon the discrete issues of interaction and implementation within that Team which, if left unstated, could lead to radical failure. 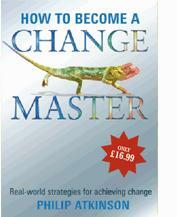 Section Three: Change Agent Diagnostics examines the essential skills required to become effective as a Change Agent. Chapter 5 complements the preceding and the following chapter by examining the importance of Interpersonal Competence to working with others in the pursuit of effective performance and improvement. Chapter 6 exposes the reader to the importance and the application of Team dynamics. Chapter 7 highlights the importance of corporate Culture and provides a Model for analysis. Section Four: Making it Happen comprises two essential chapters, Chapter 8 on Measuring Change and Chapter 9 on developing a rigorous and tested Continuous Improvement Strategy for any business. This book has been written to help Senior Teams' current and future agents of change to analyze the current health of their organization and action a strategy of Continuous Improvement. It should be totally focused on developing a strategy to improve organizational wide corporate performance orientated to the person who pays all the bills - the Customer. We hope that you can use this book to further the success of your business. Enjoy the process.